March 8, 2018 — The 2018 election cycle’s first regular primary results are in the books, and the Texas electorate largely performed in its typical fashion last night. Democrats were citing that their primary turnouts would be much higher this year in anticipation of a more competitive 2018 general election cycle; however, the party turnout was substantially better than in the 2014 midterm election (almost double the participation factor), it was still only two-thirds of their 2016 presidential total. Despite the increase, just 6.8 percent of the state’s more than 15 million registered voters cast a ballot in this year’s Democrat primary. Adding the Republican vote, the primary registered only a 17 percent total turnout, again making the state one of the lowest in terms of party primary participation. This year, 60 percent of those voting chose to cast a Republican ballot, down from the 71 percent in the last midterm and the 68 percent total from the 2016 presidential race. But, in the 17 Republican congressional districts where both sides fielded contested primaries, in only one CD, Rep. Will Hurd’s 23rd District, did more Democrats vote than Republicans. As expected, both Sen. Ted Cruz (R) and Rep. Beto O’Rourke (D-El Paso) easily captured their party nominations for the US Senate campaign. Sen. Cruz recorded an 85.3 percent vote total among Republicans, while 61.8 percent of Democrats chose Rep. O’Rourke. Since both men exceeded the 50 percent plus one vote majority figure, each advances to the general election. Republican Gov. Greg Abbott racked up a 90.4 percent win in the GOP primary, while Dallas County Sheriff Lupe Valdez (42.9 percent) and businessman Andrew White (27.4 percent) must now duel in a May 22 run-off election to decide the Democrat nomination. In the eight open congressional races, three featured outright winners. In retiring Rep. Sam Johnson’s (R-Plano) north Texas 3rd District, state Sen. Van Taylor (R-Plano), as expected, easily captured the Republican nomination (84.7 percent) and he will go onto win the general election. In Rep. O’Rourke’s El Paso-anchored 16th District, the El Paso County Judge (Executive), Veronica Escobar, recorded a 61.4 percent win over five opponents and will easily win the succeeding general election. In Houston, state Sen. Sylvia Garcia (D-Houston), also as expected, notched a 63.2 percent win against six Democratic opponents, and she will replace retiring Rep. Gene Green (D-Houston) in the 29th CD. Turning to Rep. Ted Poe’s (R-Atascocita) open district, a surprise occurred in the GOP primary. Though she spent over $5 million of her own money, GOP activist Kathaleen Wall failed to qualify for the run-off by a slight 145-vote margin. State Rep. Kevin Roberts (R-Houston) placed first with 33 percent and will face retired Naval officer Dan Crenshaw (27.4 percent) in the May 22 Republican run-off. The winner will have the inside track toward replacing the retiring seven-term incumbent in the general election. A run-off will occur in retiring Rep. Jeb Hensarling’s (R-Dallas) 5th District. State Rep. Lance Gooden (R-Terrell) advances to the run-off against political fundraiser Bunni Pounds. Gooden’s advantage in the primary vote was 29-22 percent over Pounds. 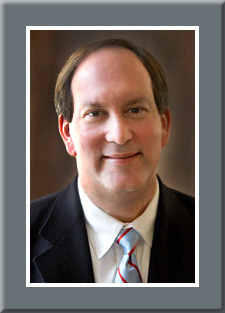 Former Terrell City Councilman Dan Wood was unopposed for the Democratic nomination. Tarrant County Tax Assessor and former congressional chief of staff Ron Wright came within five percentage points of clinching the Republican nomination in retiring Rep. Joe Barton’s (R-Ennis) north Texas’ 6th District. He becomes a heavy favorite to dispatch airline pilot and Afghanistan War veteran Jake Ellzey (21.7 percent) in the run-off election. Wright will likely succeed the retiring 17-term congressman. In the 18-candidate 21st District Republican primary to succeed veteran Rep. Lamar Smith (R-San Antonio), former Ted Cruz chief of staff Chip Roy placed first (27 percent), and will face frequent candidate Matt McCall (17 percent) in the run-off election. McCall, who has previously challenged Rep. Smith, may have benefited from name confusion since this seat is adjacent to Rep. Michael McCaul’s (R-Austin) 10th District. Roy now becomes the favorite to win the run-off and the general election to follow the retiring incumbent. Turning to the Corpus Christi area, former Water Development Board chairman Bech Bruun (36.1 percent) placed a close first in the Republican primary over former Victoria County Republican Party chairman Michael Cloud (34.9 percent), and the two will battle again in late May. The likely Republican nominee will replace retiring Rep. Blake Farenthold (R-Corpus Christi). Looking at the three races that are expected to be competitive in the general election, Rep. Hurd was easily re-nominated (80.3 percent), while the Democrats must go to a run-off. Former US Trade official Gina Ortiz Jones ran strongly in the Democratic primary (41.3 percent), but must face former San Antonio City Council candidate Rick Trevino (17.5 percent) on May 22. The Democrat establishment’s favored candidate, attorney Jay Huling’s (15 percent), failed to qualify. The succeeding general election here will be competitive in what is the state’s lone swing district. Rep. John Culberson (R-Houston) was easily re-nominated with 76.1 percent while attorney Lizzie Pannill Fletcher (29.3 percent) and author Laura Moser (24.3 percent) advance to a run-off. In Dallas, Rep. Pete Sessions (R-Dallas) won a 79.3 percent re-nomination victory, while ex-NFL player Colin Allred (38.5 percent) and former US Agriculture Department official Lillian Salerno (18.3 percent) will battle in the May 22 Democrat run-off election. None of the 28 House incumbents seeking re-election were forced into a run-off. Rep. Eddie Bernice Johnson (D-Dallas), running for what she says will be her last term, fared the worst but still scored a 63.6 percent re-nomination victory over two opponents.